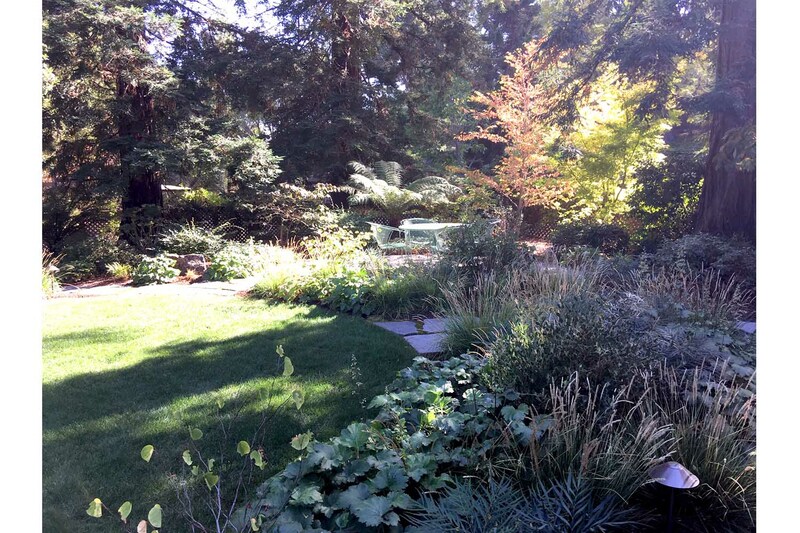 The grandeur of existing old trees and the addition of understory companions make this suburban garden a respite from the hectic world outside. 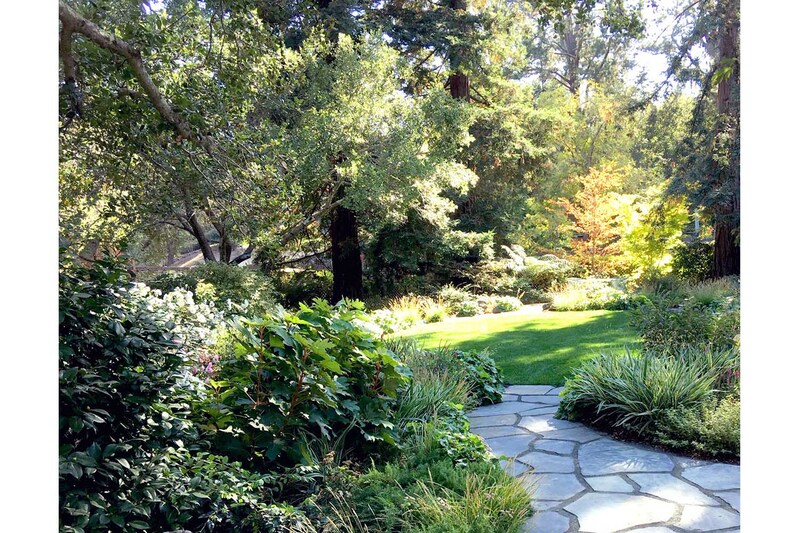 Open green space and large drifts of plants create a sense of expansiveness and ease. 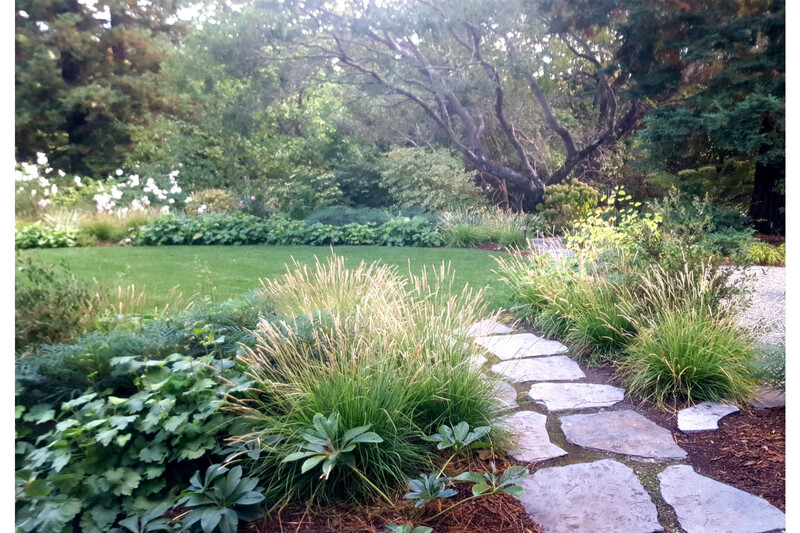 At the same time, the understory plantings combine to engender a natural tapestry of colors, texture and aesthetic interest. The casual hardscapes of slate and gravel lead you in, around and through this unpretentious retreat.